Want to win Rally Cross? This is what you need. 1989 SCCA F Production class Honda Civic race car with SCCA log book. 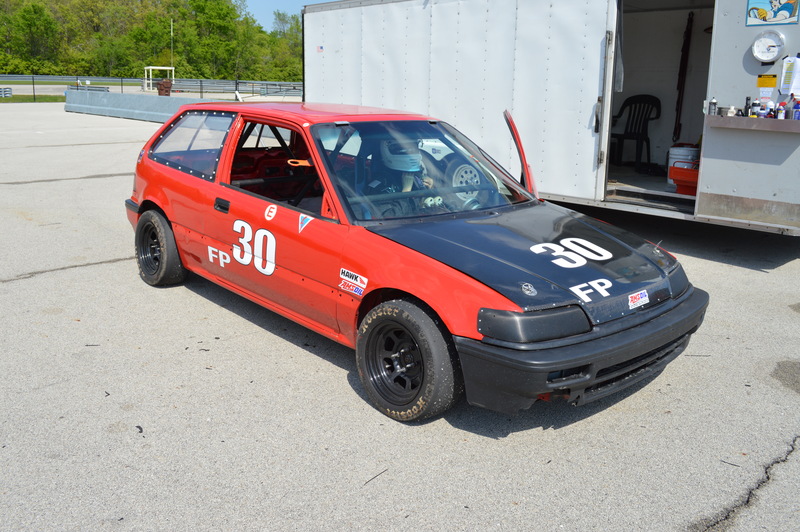 Very light weight, full cage, 1991 CRX Si 16A6 engine / trans, LSD diff., light weight flywheel and clutch, comp. shift linkage, Fuel cell, Halon fire system, Carbon Fiber Hood, Sparco seat, NRG quick release wheel, Lexan side windows and rear hatch window, three sets of wheels, two sets of new Diamond race wheels 13 X 7, one set 14 X 6 wheels with rally cross tires, Spare stock engine and trans included. A really fast little car…… very fast at the only Rally Cross it ran. This is a super race car with a interesting history. Great beginner race car and a super Rally Cross car. One free track day at Autobahn Country Club with purchase. A steal with spares for $7,500. OBO.